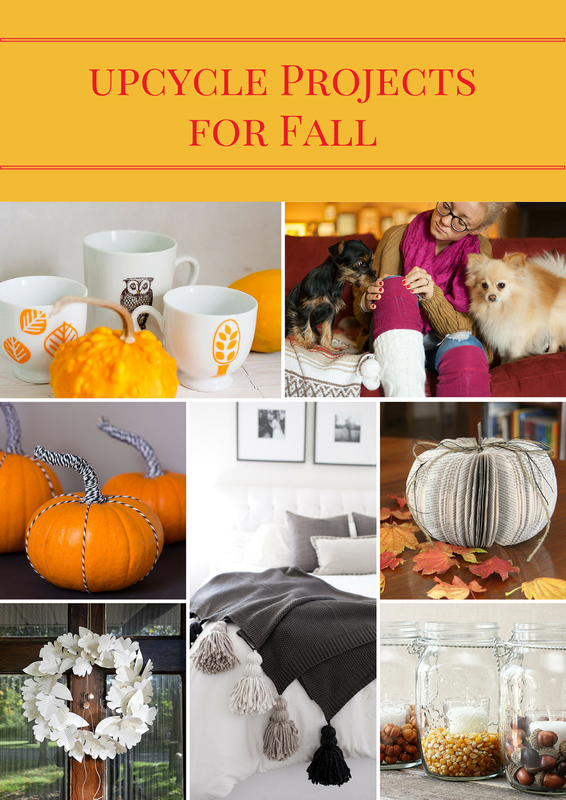 Do you love decorating for Fall as much as I do? Of all the seasons, this one is my favorite and I love that you don’t have to spend a lot to make a beautiful impact on your home during this season. Nature brings so many free and fun elements to your home decorating. 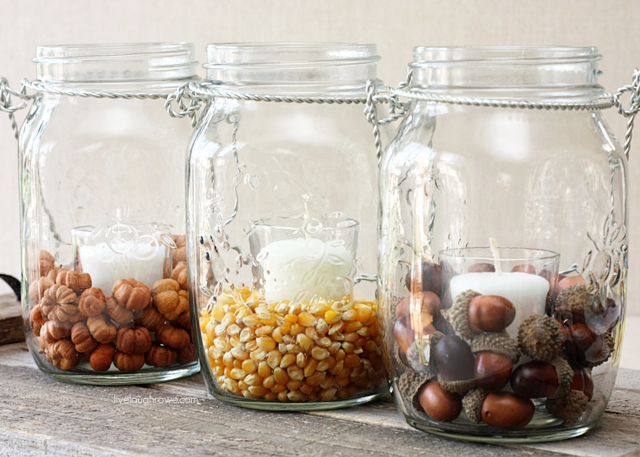 Pairing these with a few simple upcycle DIY’s, you don’t have to spend a lot to make your space cozy and beautiful. Today I want to share with you seven easy upcycle projects you can try to make yourself and your home cozy for Fall. These projects were selected with your Goodwill shopping in mind and should be easy to execute with some commonly found items at our store! 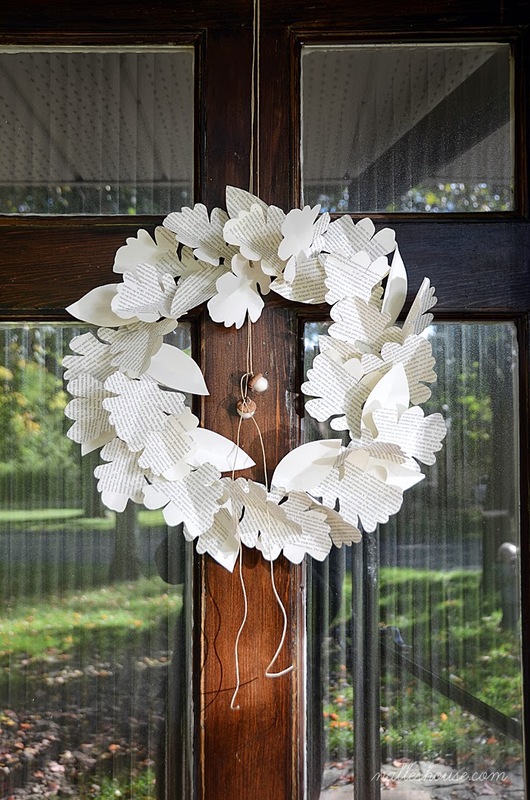 Book page projects are always my favorite and I just love this easy DIY Paper Leaf Wreath created by Nalle’s House as a whimsical element of decor to a door or window in your home. I particularly love that she uses a fallen leaf as a template to create a rustic feel to the wreath and the addition of fallen acorns really embrace the natural elements of autumn. Living in Indiana, a girl can never have too many layers in the colder months. I love a good legwarmer or boot cuff to add a touch of color and warmth to my wardrobe. Lucky for you, sweaters are available in every color of the rainbow at Goodwill. As Svetlana HillKovich Photography explains in her easy tutorial, this is a simple no-sew project since no one will ever see what’s lurking underneath your boots if you don’t feel like making a finished edge. So cute AND easy! I am always looking for thrifty seasonal touches to add to my bookcases and shelves. 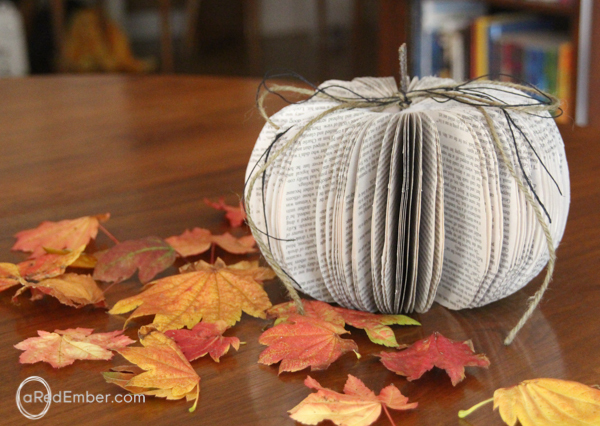 Consider making a simple book page pumpkin out of a book from Goodwill and finish it with a little twine and twig to complete the rustic look. If you select books in different sizes, you could create a beautiful coffee table display for your home! Check out this easy step-by-step tutorial from Red Ember to create one of these (or ten!) for your own home! It is rare that I stop in the store and can’t find a few white mugs for my DIY projects. 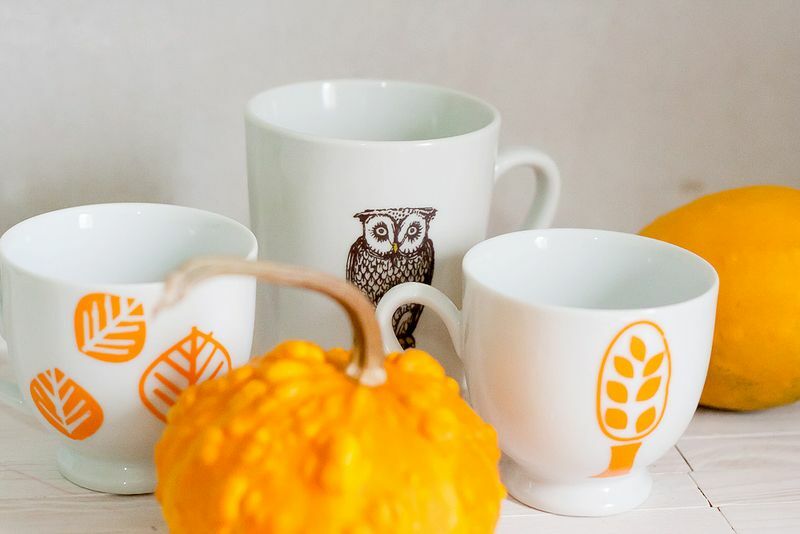 I have transformed many a mug into a beautiful gift and I love the idea of adding a fall touch to these Goodwill treasures with a simple stencil. Since these are a rub-on transfer (versus a permanent paint transfer) consider using these as a place to tuck your toothbrushes, to fill with a treat for a teacher, or plant a little succulent to place next to a kitchen window! You can get the scoop on this easy stenciled mug over on Callaloo Soup. 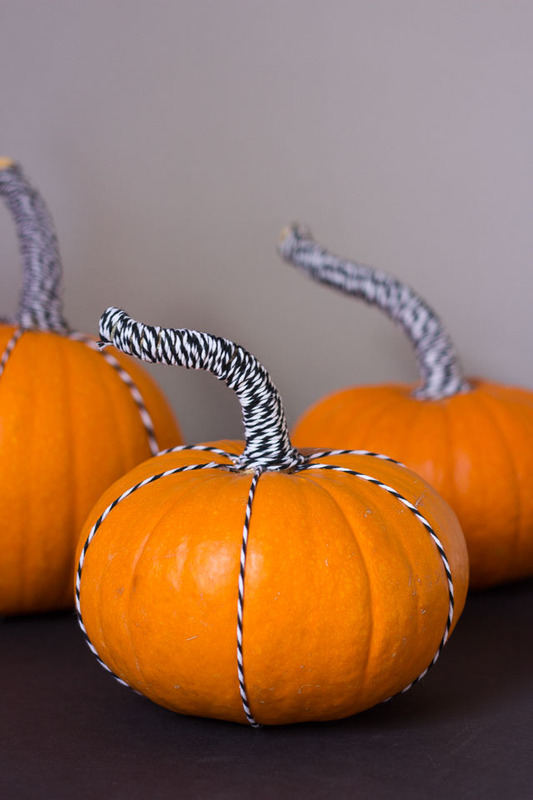 Although I love a glitzy pumpkin, my eye is drawn to these simple Baker’s Twine pumpkins because they create such a beautiful detail with such pretty lines. If you aren’t crafty, this is the perfect DIY project for you and just requires a little wrapping of twine to complete. This project is so easy, you can enlist your kids to help you! Check out Design Improvised to see how to create these for your own home. I am absolutely nuts about tassels and how they can transform anything from clutches to necklaces to pretty trims. 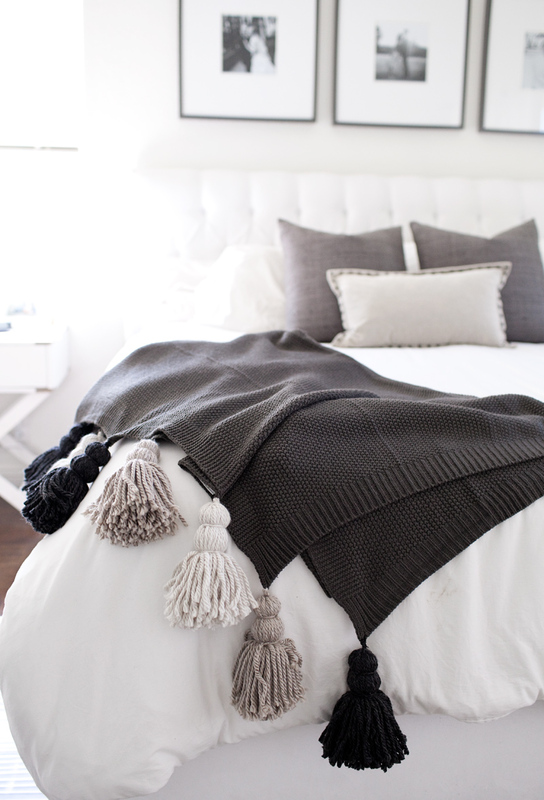 A basic vintage throw from Goodwill can be taken up so many notches with a beautiful tassel detail. Design Sponge shows you how beautiful this detail can be in cozy neutrals for the fall season. I’m dying to replicate this project for our home, aren’t you? Get the easy tutorial over here today! What is your favorite upcycle project that you have done for Fall? Feel free to leave your ideas in our comments below!